SalesCatalysts Review: Email marketing is an integral part of digital marketing and provides the highest ROI as of now. But it is not that simple as it seems to be. You need to have a proper email marketing software which can automate your campaigns for the better result. Recently, I was reviewing many email marketing software and came to know about SalesCatalysts. After going through SalesCatalysts, I can say that it is one of the best email marketing software to be used. You can run your email marketing campaigns from SalesCatalysts without worrying about any other tool. So let’s start with the SalesCatalysts review and why SalesCatalysts is a leading email marketing software. 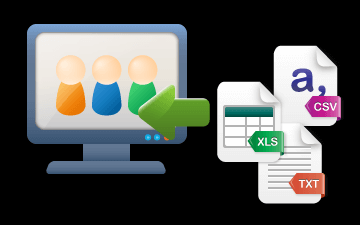 SalesCatalysts is a complete email marketing software which provides all the features starting from collecting emails to sending emails and tracking those emails for the conversion. Started in 2003 with an aim to enable the email marketing services at the very competitive prices, the company has grown globally from Hong Kong. Companies like Lenovo, Hyatt, Ferragamo, Pacific Coffee, Li & Fung, KAO, Nestle, etc. are relying on SalesCatalysts for their email marketing campaigns and for the success of it. In this SalesCatalysts review, we will focus on the email marketing software of the SalesCatalysts. I will be going through each and every detail of SalesCatalysts review so that you can use it for best ROI. Here are some of the remarkable features provided by SalesCatalysts email marketing software. Email builder helps you to create your email marketing message in a quick and simple way. You do have to know about HTML programming where you can simply start editing your content on their built-in templates. Sending correct emails to the correct people is very crucial in the email marketing. The person who has subscribed you for the entertainment may not be interested in the business related stuff and vice-versa. 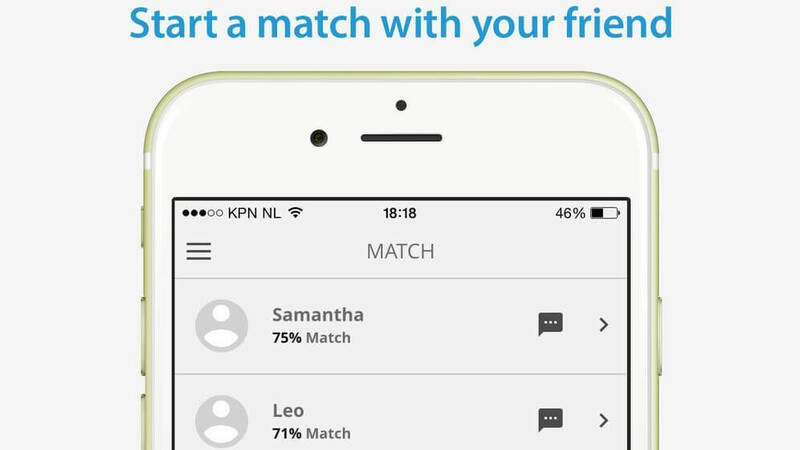 For this reason, you can divide your list into the group and based on that you can send them the message. SalesCatalysts have a high-speed global delivery network. Campaigns are sent through a distributed network across multiple internet backbones. With over 400 IP addresses for bulk email delivery and supported by daily monitoring, the risk of your marketing emails being classified as spam is kept to minimal. You can maximize your conversion with this feature. 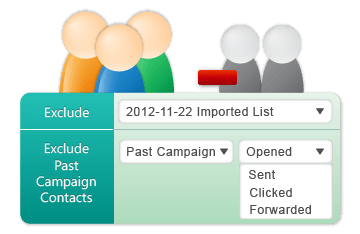 Track your recipient like who has opened your email, which has clicked on it etc. Your contacts in Excel, Outlook, Outlook Express, Gmail, general database systems, etc., will be screened and imported. With every email, SalesCatalysts adds one button called “Forward this to my Friends” as they believe words of mouth is still one of the best ways of marketing and it converts. If you have a list up to 400 contacts and send 12000 emails per month, SalesCatalysts provides you the email marketing service completely free. In the monthly plan, you can subscribe to any plan depending on the emails you send per month starting from just $1.79 which gives you 600 email credit. All the plans are irrespective of the email subscribers you have. Their payment options are also flexible. You can choose to prepay on a monthly basis, quarterly (10% discount) or yearly basis (50% discount). The prices listed above and below are discounted prices on a yearly prepayment arrangement, which are definitely very good deals. The last pricing type is refill plan which is the most flexible type. 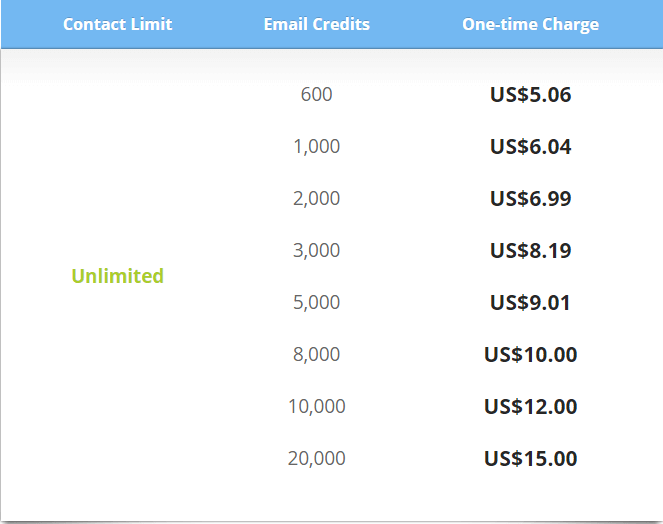 There is no limit on the number of email subscribers and you will not be billed automatically on a regular basis like the monthly plan. Instead it is “pay as you go” type which you buy what you need, and refill new credits again on a need basis. This is the best for marketers who may not run email marketing campaigns every month. To get started with SalesCatalysts, you can simply sign up and start with email marketing. SalesCatalysts is one of the top email marketing software and service providers. 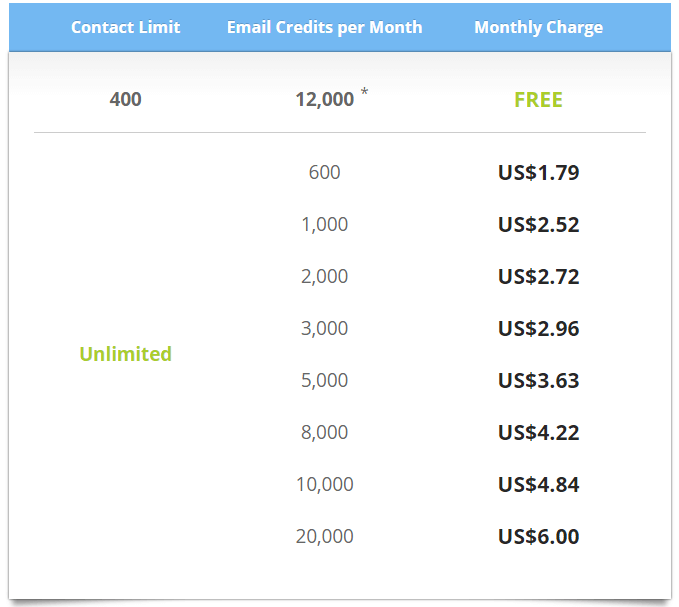 If you are a newbie and want to start with email marketing, you can go with the free plan. As soon as you will start getting leads, you can switch to any paid plan and boost your email marketing campaigns.